New York made more money available for grid modernization this week — $10 million — to create the bones of a grid that supports community microgrids and other distributed energy resources. 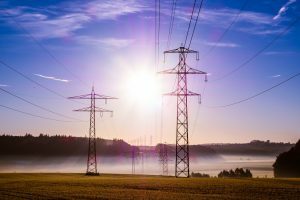 The release came as a quick followup to a $3.5 million solicitation issued a week earlier to improve interconnection of distributed energy. The money in both instances comes from a $140 million pool set aside for grid modernization over ten years. The New York State Energy Research and Development Authority (NYSERDA) is offering the $10 million for research into smart grid technologies, such as grid sensing, communications, diagnostics and controls. The funds are wrapped into the state’s multiple year effort to animate the distributed energy market, what it calls Reforming the Energy Vision, or REV. New York wants to pioneer a transactive grid, where energy customers also become energy producers. Category A offers up to $400,000 for research into reducing barriers to advanced technologies, specifically those that improve grid resiliency, reliability, quality and efficiency. NYSERDA seeks new policy, business models, regulatory, planning and cost recovery models, advanced concepts, innovative product and technology development. Category B offers up to $400,000 for engineering studies that focus on new under-utilized technologies. The studies are expected to lead to project proposals for demonstration projects (See Category D). Category C provides an unspecified amount to develop and commercialize related products. Category D provides an unspecified amount for demonstration of new or under-utilized technologies for transmission and distribution. The state requires that winning applicants provide 25 percent of the costs for the studies and 50 percent for the product and demonstration projects. Several technologies are eligible for the funds, among them “processes, systems and technologies, such as microgrids, that promote integration of renewable or distributed energy resources and electric energy storage technologies into the distribution system,” says the request for proposals (RFP). Advanced materials, conductor and cabling technologies to improve resiliency, reliability, congestion and reduce losses. The state’s grid modernization effort is aligned with its goal to generate 50 percent of its electricity from renewables by 2030. The money comes from the state’s 10-year, $5.3 billion Clean Energy Fund. NYSERDA is accepting proposals in two rounds. The due date for the first round is January 11 and for the second round June 28. The RFP is available on NYDERDA’s website (PON 3397). Separately, NYSERDA also is offering $40 million for community microgrids through its NY Prize program, which recently closed out applications in the $8 million second stage. Learn more about grid modernization and microgrids by downloading the free white paper, “The Business Case for Microgrids” from the Microgrid Knowledge White Paper Library.